Renew your York SHRM Membership today and save $10! Certification: Pending certification credit through HRCI and SHRM. Click How to Have a Voice and Lean in to Conversations about Race to register. Please help to keep our costs down. If you register and circumstances change that prevent you from attending, please send an email to YorkSHRM@yahoo.com by May 9, 2019. Thank you! If you aren’t able to attend this event, we would love to have you join us at upcoming meetings, visit our website at https://yorkshrm.org. Our monthly meetings include a meal and great educational speakers and education credits. Sponsor: If you would like to sponsor this meeting or others, please contact our Sponsorship Chair. 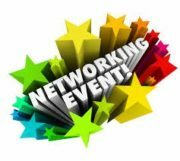 Click June Networking/New Member Event to register. Please help to keep our costs down. If you register and circumstances change that prevent you from attending, please send an email to YorkSHRM@yahoo.com by June 4, 2019. Thank you! Click September Meeting to register. ***The deadline for registration is on September 5, 2019*** Please help to keep our costs down. If you register and circumstances change that prevent you from attending, please send an email to YorkSHRM@yahoo.com by September 5, 2019. Thank you! Click November Meeting to register. ***The deadline for registration is on November 7, 2019*** Please help to keep our costs down. If you register and circumstances change that prevent you from attending, please send an email to YorkSHRM@yahoo.com by November 7, 2019. Thank you! Click December Meeting to register. ***The deadline for registration is on December 5, 2019*** Please help to keep our costs down. If you register and circumstances change that prevent you from attending, please send an email to YorkSHRM@yahoo.com by December 5, 2019. Thank you!